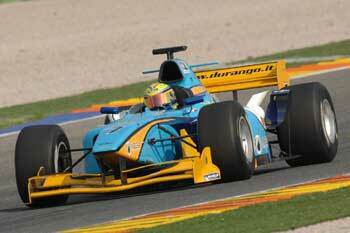 Congratulations to Nicolas Prost for winning the 2008 Euroseries3000 championship using Geartronics paddleshift. The final round of the F3000 championship went down to the wire at the Magione circuit in central Italy. 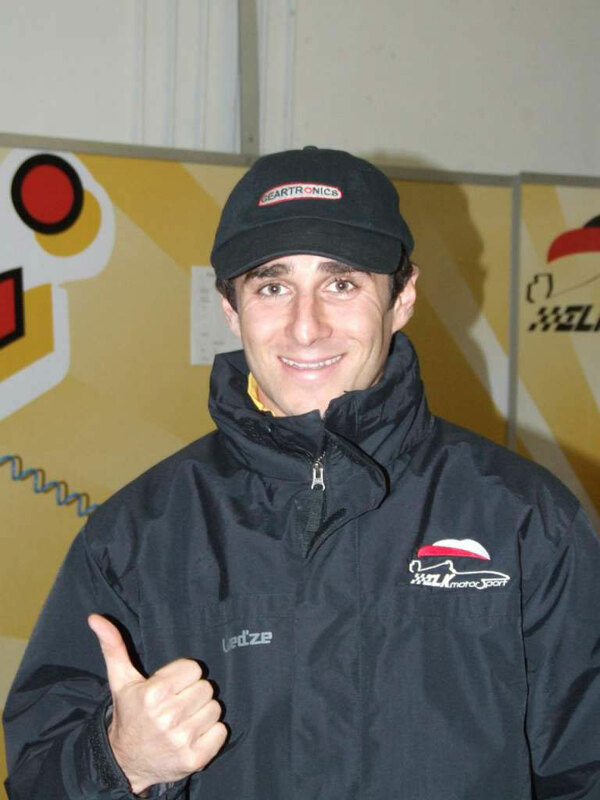 Nicolas Prost (son of legendary F1 Driver Alain) went into the final 2 races with a 10 point advantage and a clear favourite to clinch the title. However, at the start of race 1, an incident at turn 2 was to see him pushed into the gravel and take no further part. 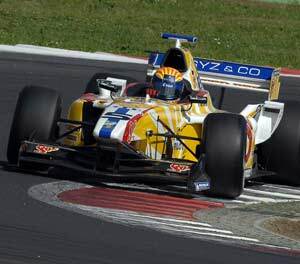 Fortunately for him, the other title contenders also failed to score sufficient points in race 1 and Prost, despite the non finish, was to be crowned champion. Throughout the season, in common with most of the grid, Nicolas was using the Geartronics paddleshift system with 100% reliability. Geartronics paddleshift comes 1st again in Barcelona - and 2nd, 3rd, 4th, 5th, 6th & 7th! Once again, our paddleshift system has proven highly effective and reliable during the latest round of the Euroseries3000 championship in Spain. An improved downshift strategy was tested for the first time in Jerez last month and was again used to great effect at the Circuit de Catalunya near Barcelona. At the end of an extremely wet weekend, Nicolas Prost (son of legendary F1 racer Alain) came away with a 10 point championship lead, ahead of second placed Adam Khan. He now goes into the final round as firm favourite to clinch the title. The last two races of the championship will be fought out at the Magione circuit near Perugia in central Italy on the weekend of 29/30th November - weather permitting! We can now also bring news of some new developments for 2009. Work is in progress on the design of a new, more powerful CGU. The new unit is aimed at professional level motorsport and will feature real-time datalogging, a CAN interface and the option to use twin track barrel sensors. The unit will be housed in a new CNC machined enclosure with Deutsch Autosport connectors for the utmost in reliability and environmental protection. An improved pneumatic valve block assembly is also in the latter stages of development. Featuring highly efficient quick exhaust valves, the new unit will allow even faster downshift sequences. With the addition of a sophisticated software 'active return' strategy, the minimum time between successive shifts has been reduced to approximately 80ms (dependant upon gearbox type). With a typical downshift taking just 50-100ms it's possible to make 5 downshifts in about ¾ of a second - in other words, faster than the drivers paddle fingers can move! The latest round of the Euroseries3000 championship at Misano Italy has brought yet more success for Geartronics and its impressive semi-automatic paddleshift system. 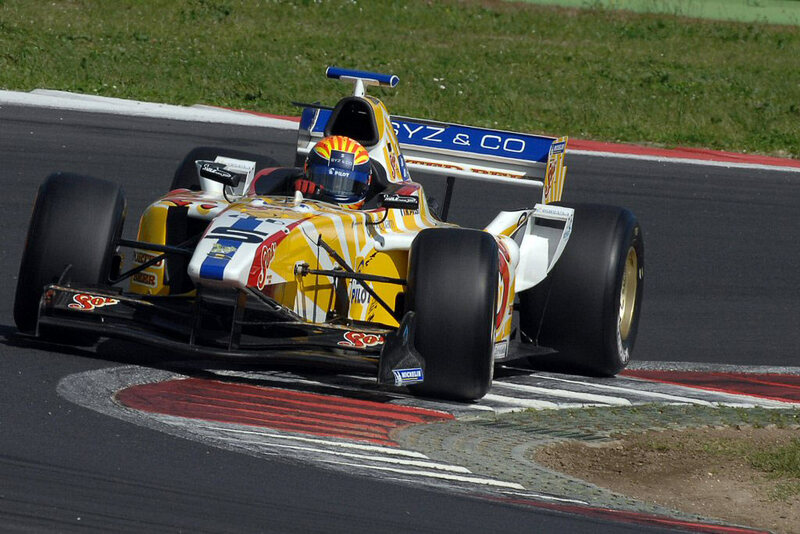 The young Colombian Omar Leal had a successful event in Misano Italy, and secured the Italian F3000 championship with 3 meetings still remaining. Driving the Lola B02/50 for the Durango team, Leal came out on top during a thrilling qualifying session on Saturday to put his car on pole with a time of 1:25.547. Leal eventually finished the race in 3rd place after coming under intense pressure in the early stages from eventual race winner Luiz Razia from Brazil. Both Razia and Leal were using the Geartronics paddleshift system. For the second race of the meeting, the grid was reversed with Adam Khan starting on pole. Adam led the race from start to finish after getting a good start and keeping out of the trouble that was occurring behind him. However, Omar Leal also avoided the trouble. He set the fastest lap of the race and came home in second place to clinch the F3000 title. 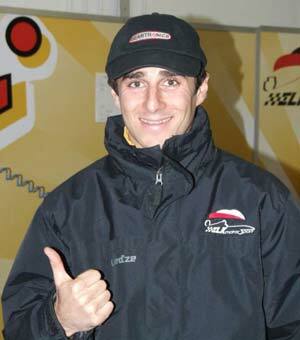 Third place was taken by Frenchman Nicolas Prost, son of legendary F1 driver Alain. Nicolas also uses the Geartronics shift system. The success of the Geartronics paddleshift in this year's championship has lead to the system being made a mandatory part for all cars in next year's Euroseries3000 championship. Geartronics paddleshift systems score an impressive 1-2-3 in the latest Euroseries 3000 race at the Mugello track in central Italy. The first 3 cars home in the second race at Mugello were using the Geartronics semi-auto shift system, adding to the 2nd & 3rd place in the previous race of the weekend. The championship is now at the half way stage, and all but one of the seven races completed have been won by a car using Geartronics paddleshift! The teams that are using the system have reported significantly reduced dog wear compared to conventional manual stick shift. An added bonus is that downshift induced over-revs of the Zytek KVF3000 engine have been eliminated as a result of the engine protection strategy employed within our GCU. With seven races and numerous test sessions under our belt, we have not suffered a single failure on any of the cars that are running the system. We have now installed the paddleshift system on the Chiron LMP3-08 cars. The Chiron's use the Sadev SL75 transaxle in common with most cars in the UK and European VdeV championships. However, we have heard reports that some of the other cars on the grid that are not using our system have been suffering from race ending gearbox failures. By contrast, the Geartronics system has been reliable and there have not been any gearbox failures that have effected the other teams. One benefit of the Geartronics system is the ability to reliably find neutral on the Sadev gearbox – simply call for a down-shift from 1st gear and hey-presto, you're in neutral. No messing around with interlock cables and selecting reverse as is the case with some other systems. 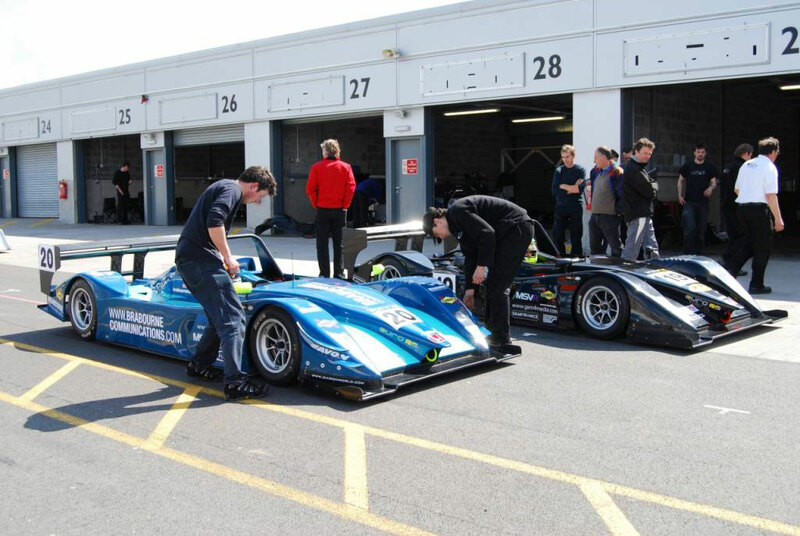 The VdeV championship is an endurance series for CN sports prototype cars, with races of 3, 4 and 6 hours duration. Geartronics have secured a contract to supply its impressive new semi-auto paddleshift system to the Euroseries3000 championship. Working in partnership with Racetech Harnessing, we initially tested the system on a Formula 3000 car back in November at the Magione circuit near Perugia in Italy. The first time the system ran on a F3000 car the results were very impressive and brought favorable comments from the test driver. The system will be rolled out throughout the season and initially we will be supplying 3 or 4 cars on the grid for the first race at Vallelunga in April.